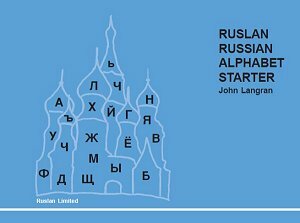 An introduction to the Cyrillic alphabet for learners of Russian and for travellers to Russia and Ukraine. The text is interactive, you can write in the pronunciation in English letters to help you remember the Russian sounds. The booklet will be useful for school groups and individuals travelling to Russia, as well as for beginner learners. Football vocabulary is included for visitors to the Football World Cup in June and July 2018.